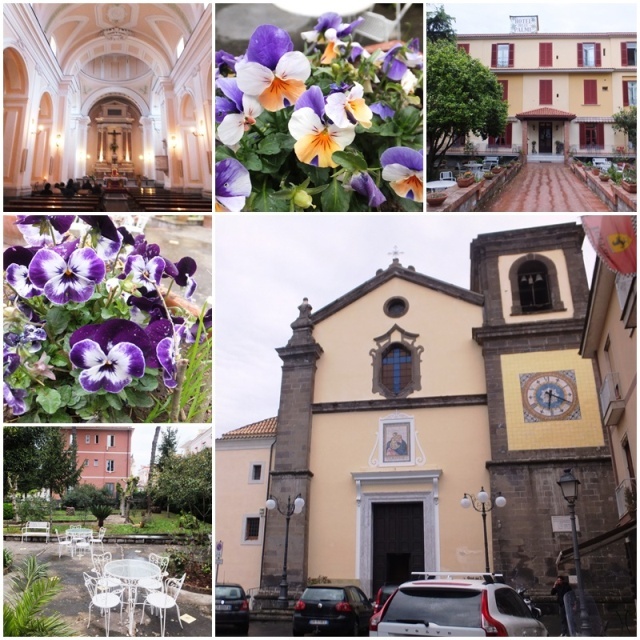 April 26 was my last full day in Sorrento and in the morning I moved from the Hotel La Favorita, which was fully booked, to Villa La Terrazza. This magnificent historic mansion was built by a German nobleman in the late 1800, and today occupies one of the most prominent locations on Sorrento’s coastline, overlooking the cliffs above the Marina Piccola Harbour. 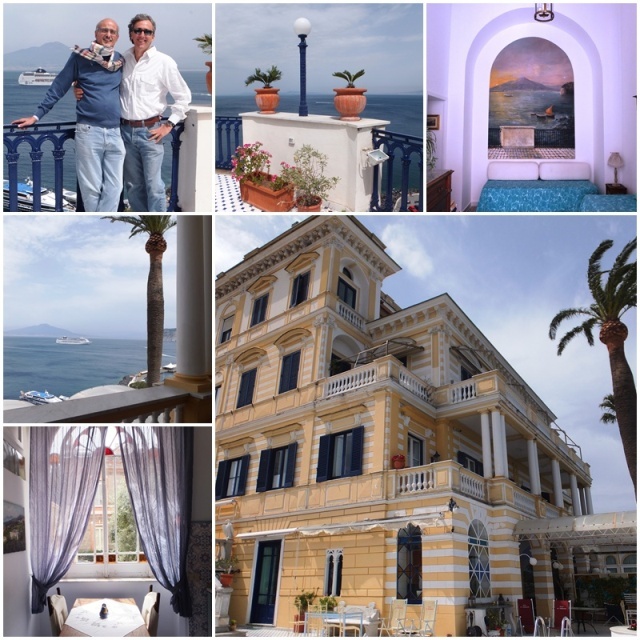 Andrea Azzariti, a fifth generation member of the Royal Gunderode family, gave me a tour of 3 of the villa’s apartments, some with balconies that offer fantastic views of the Bay of Naples. Today the mansion houses 6 self-catering suites and Andrea himself provides personalized boat tours of the Sorrento and Amalfi coastlines. One o f the famous local Sorrento crafts is inlaid woodworking, a traditional craft that has been passed down for generations. I visited the A. Gargiulo & Jannuzzi retail store right on the main square of Sorrento where Marco Jannuzzi demonstrated the intricate process of woodworking to me. His family has been in the inlaid woodworking business since 1863. 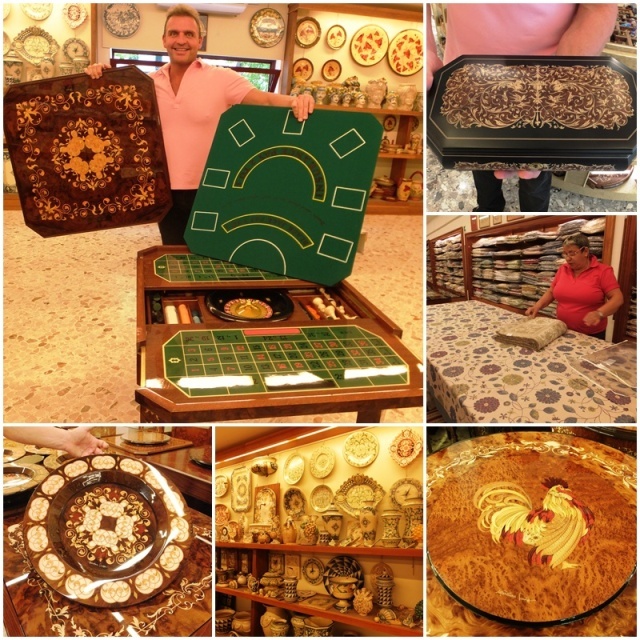 In addition to multi-coloured and highly detailed masterpieces of inlaid wood, you can also find embroidered linens made by local Benedictine Sisters, furniture, Murano glass, pottery, chess sets and casino tables that contain a multitude of game surfaces. 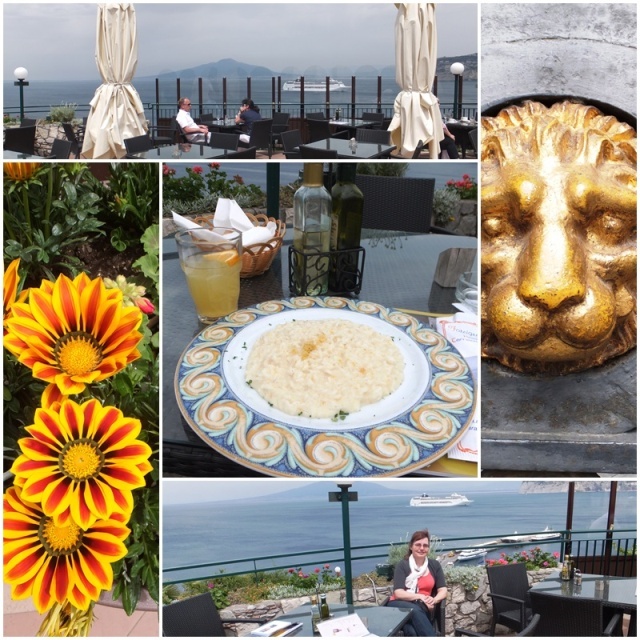 Then I went to have lunch on the lovely terrace of the Foreigner’s Club where I enjoyed a really delicious “risotto agli agrumi” (citrus-flavoured risotto) which is flavoured with lemons and oranges. Live music was playing as a freshly wedded bride and groom were making their entrance to celebrate their big day on the terrace overlooking the Bay of Naples. Many couples choose Sorrento and the Amalfi Coast as their romantic wedding destination. 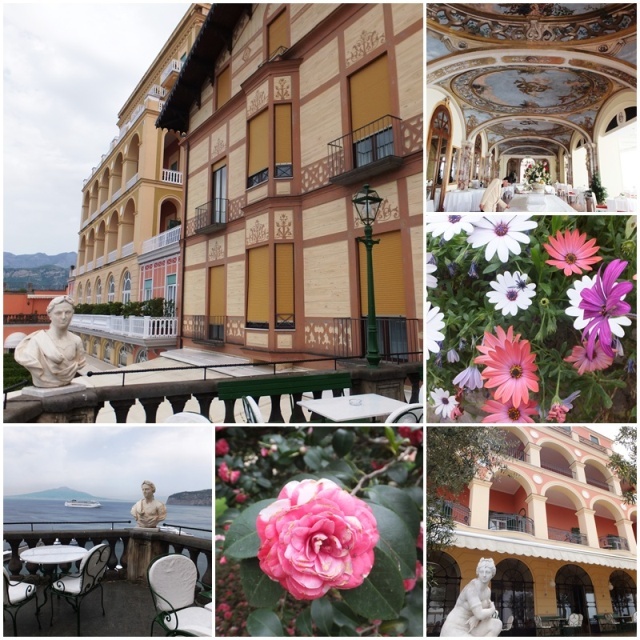 Ever curious about historic hotels, I requested a brief hotel tour of the Hotel Excelsior Vittoria, a 5-star luxury property overlooking the Bay of Naples and the Port of Sorrento. Supposedly this hotel was constructed in the location where Roman Emperor Augustus had his own villa. Today’s hotel was founded in 1834 and has hosted illustrious guests such as Richard Wagner, Enrico Caruso, Marilyn Monroe, Sophia Loren and many more. In the afternoon of my last day in Sorrento I visited a local farm called “La Sorgente” on the outskirts of Sorrento. 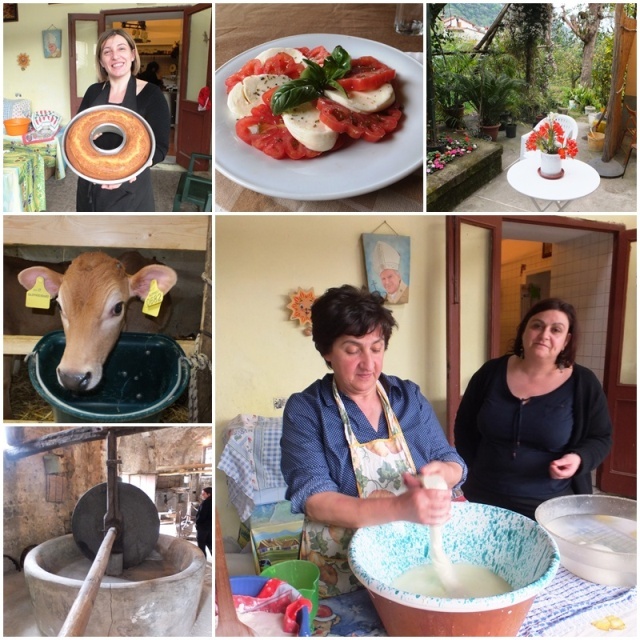 With seven cows, this farm produces fresh mozzarella as well as olive oil and limoncello. Rosa Micchio gave me a tour and I was able to observe how mozzarella is handmade. This farm and the local women connected to it were featured in a book by famous American television chef Rocco DiSpirito. Today, many large groups from the cruise boats that anchor in Sorrento visit La Sorgente to get a true feel for Italian culinary culture. At the end of the tour I got to taste a delicious Insalata Caprese with fresh mozzarella. In the late afternoon I took the bus from Sorrento to a small town called Massa Lubrense on the Sorrentine Peninsula. It was raining now, but I wanted to see this small country town which is known for its picturesque beaches and coves as well as the hiking paths that criss-cross the Sorrentine Peninsula. 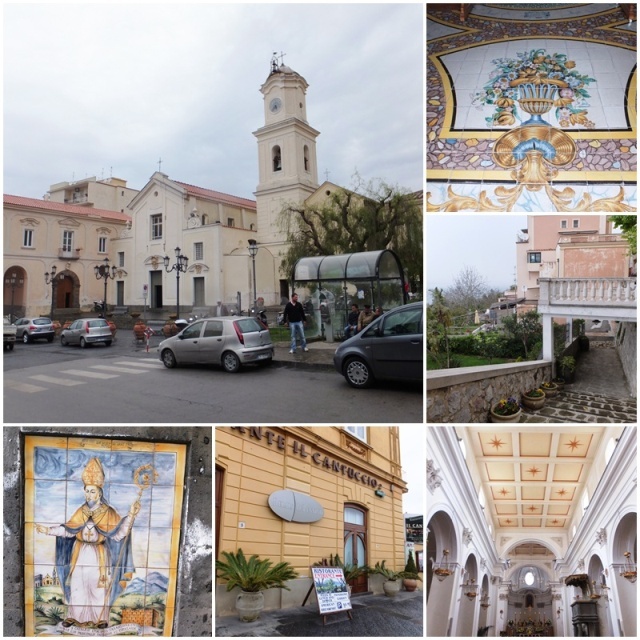 I continued my country excursion by public bus to the neighbouring Sant’Agata sui Due Golfi, a small town with a location high up that overlooks both Sorrento and the Amalfi Coast. Sant’Agata has a popular cooking school as well as the historic Monasterio di San Paolo. 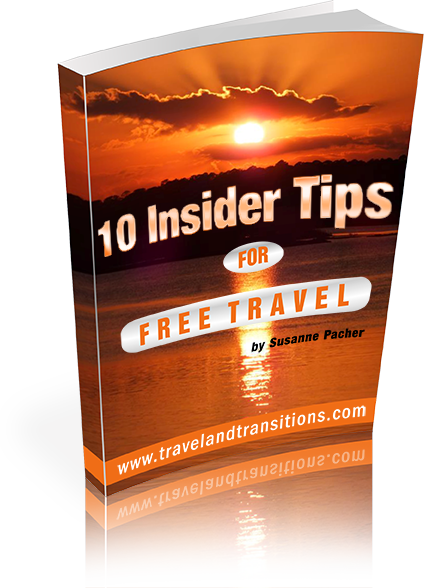 It is also a great starting point for around the Sorrentine Peninsula. I arrived back in Sorrento in the evening and started strolling to the atmospheric medieval alleyways of the city. 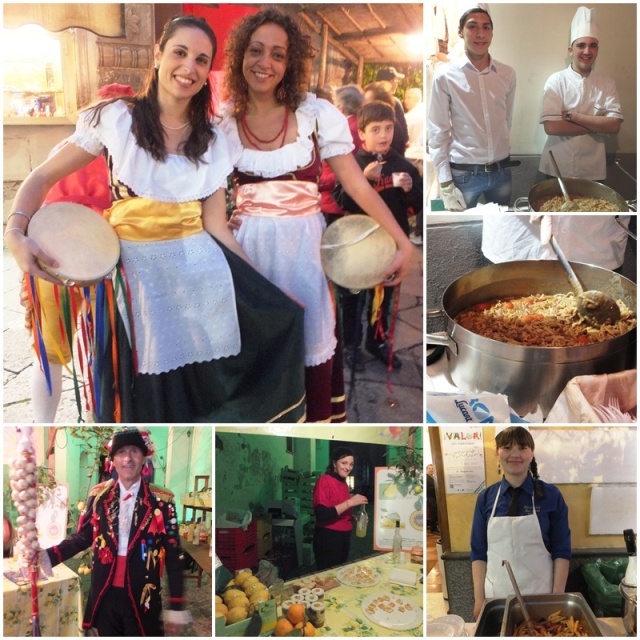 A popular local festival was in full swing: “I Valori del Territorio” (literally translated “the values of the territoriy”), a popular food festival where a ticket for 10 Euros will give you a delicious food samples for a series of local restaraunts and food producers. Various performers in traditional dress and musicians add to the entertainment. This busy day was a fitting end to my six action-packed days in Sorrento and tomorrow I would move on to my next destination: Naples.